Anyone else feel more knackered than usual after their first full week back? I swear weeks never used to feel like this. I’ve been super productive though. 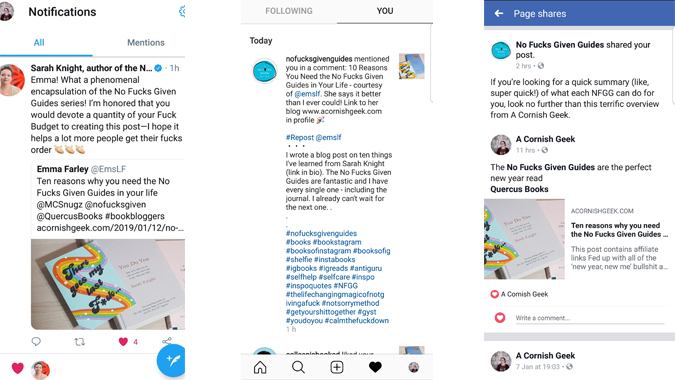 Now that I’ve set a rough weekly blog schedule of one book post, one stationery post and a weekly round-up (more if I’m super-inspired and caffeinated), I’m taking it a bit easier in the evenings and making time for other things. The usual, y’know, a couple of Twitter chats, nightly journalling, getting at least eight hours of (broken) sleep… Here’s a look at some of the highlights from the last week. 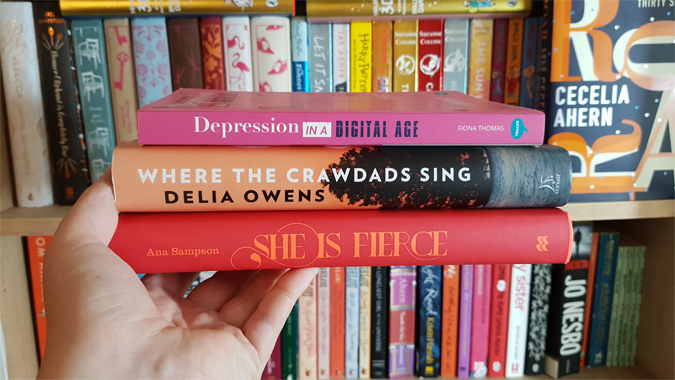 Three beauties dropped through my letterbox this week: Where the Crawdads Sing (released in the UK on Thursday), She is Fierce (a beautiful anthology which I hope will help me fall in love with poetry) and Depression in a Digital (an Instagram giveaway win, published by the wonderful team behind Geek Magnifique’s fab book). All incredibly intriguing for different reasons. I’ll be starting Where the Crawdads Sing in the morning, in the hope of getting a review up in time for its official release, and then the following week I’m hoping to read a book for the Blogger’s Bookshelf Book Club. I just need to consult my overflowing TBR shelf and hopefully find something which features a road trip. 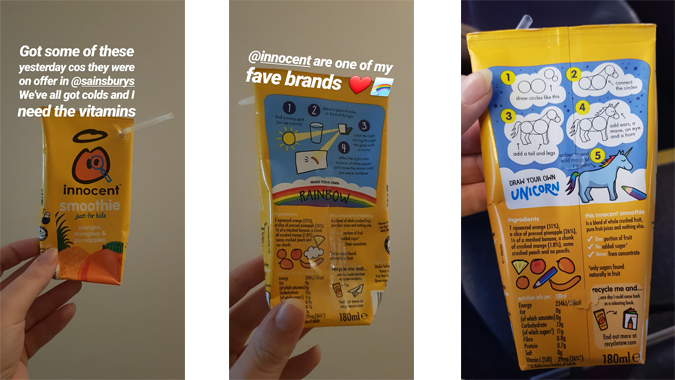 Innocent is one of those awesome brands which always seems to get everything right. Their social media channels are some of my favourites and I love the packaging of these smoothies. I picked up a pack the other day as Sainsburys had them on offer and I was in dire need of vitamins. I’m totally gonna start doodling unicorns in my bujo. The kid is on form at the moment. I mentioned before that he has been having some extra support at nursery to help prepare him for school. We had our final session with one of the managers this week and he has come on so much. He has jumped three stages in some areas and is now right on track for his age. His confidence has grown loads and he’ll start conversations with others and play in groups, something completely unheard of just a few months ago. He’s also developing well in his swimming lessons and starting to eat a lot better at tea time. We made the decision to cancel his hot lunches at nursery and switch to a packed lunch as he doesn’t like his food to touch, so he just picks at plain pasta and rice and not touch the rest. Now he’s staying until 3pm, we need to ensure he actually eats his lunch. We want him to eat better so that he can eat hot dinners when he starts school and he’s already doing better at home. This week he’s polished a plate of sausage, mash and carrots, and even started eating sweetcorn. As long as his foods are separate he seems to be doing well. This week he’s also started saying “I love Mummy” (yay!) but he’s also started declining big hugs at bedtime (boo!). We still co-sleep for the most part and our bedtime routine consists of a story in bed and then he likes to be baby spoon as he falls asleep. A couple of times this week he’s said he doesn’t want a big hug and then changed his mind less than a minute later. Tonight, however, he didn’t change his mind! He still wanted to fall asleep next to me but I think this could be the start of him moving into his own bed. Wow! Last month I had my best views to date, without doing anything particularly special to encourage this growth (I know, I hate me too). I wondered if I’d be able to maintain it this year and it seems to be going well. I spent last year honing my niche and that’s increased my enjoyment and helped with the communities I’m part of. I’m also seeing really exciting and encouraging comments from the writers and publishers I’ve worked with, which is so motivating. I’m looking forward to seeing how things continue to evolve this year.